Pietrobono di Burzellis (1417-1497) was the most renowned lutenist performer of his day and, despite the fact that none of his music survives, he remains the figure who epitomises the improvisatori whose music resonated through the courts of northern Italy in the fifteenth and early sixteenth centuries. In contrast to the fame that such improvisors enjoyed during their own lifetime, they remain marginalised in contemporary scholarship largely due to the absence of notated relics of their musical practice. In a musical historiography built on philological foundations, they have been considered by default as the inferiors of the Franco-Flemish polyphonists and theorists who came to Italy in the decades around 1500 to service the chapels of the northern courts. 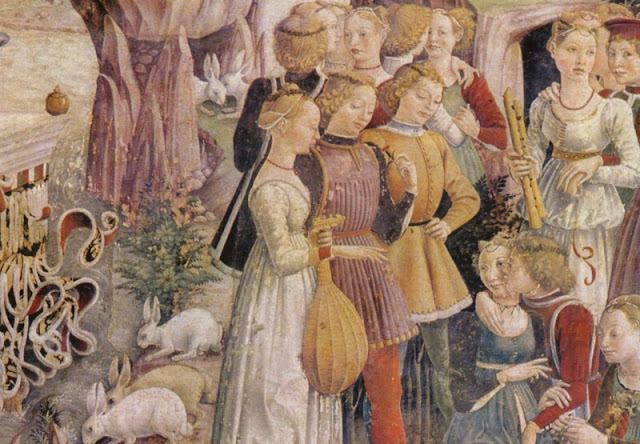 Close examination of the lute books published in Venice by Ottaviano Petrucci in the early sixteenth century, particularly the work of Francesco Spinacino, provides evidence of a more central role not only in musical practice, but also in the intellectual debates concerning music that were percolating in these culturally rich centres. John Griffiths is a researcher and performer of Renaissance music, the lute and related instruments, mainly centred on Italy and Spain. His research covers matters of musical style, performance practice, social and urban history, the history of instruments, and early music printing. He is currently Adjunct Professor of Music at Monash University, Professorial Fellow in Languages and Linguistics at the University of Melbourne, and Co-director of the Corpus des luthistes project at the Centre d’Etudes Supérieures de la Renaissance in Tours.